Xiaomi Redmi smartphones have a bright place in India. Since last few decades, Xiaomi phones are ruling the Indian marketplace as India is turning to be the fastest growing market for the smartphones in the world. With this shinning business status in India, Xiaomi is going to launch another smartphone here, the Xiaomi Redmi note 5. 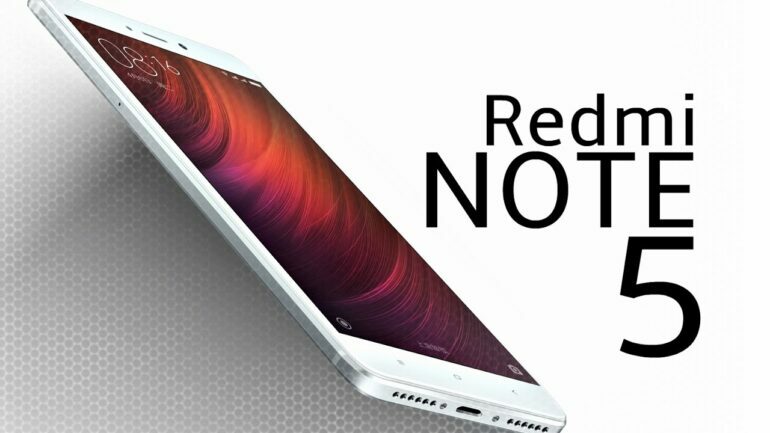 After witnessing the huge popularity of Redmi Note 4, the new advanced version the smartphone fans are keeping eyes on the new one. It will be available on the leading e-commerce sites of India. According to the latest developments of news, it is expected that the Chinese company will launch their most awaited phone on 14th February 2018. So, it can be the best Valentine’s Day gift for the couples who really admires the high-tech smartphones with latest features. As per the ongoing rumors, the Redmi Note 5 will launch with loads of new features. The 5.99 inch full HD quality display (1080x2160pixel) IPS LCD screen will come with an 18:9 ratio of aspect. It is almost stated now that the phone will come with the Qualcomm Snapdragon 636 processor. Like the other Xiaomi smartphone of the brand, Redmi Note 5 also has a sturdy aluminum body with front glass. What you will not get is the dedicated sim slot here. This phone has the Hybrid Dual Sim slot, dual standby, and nano sim. IPS LCD capacitive touchscreen with 16M colors is the USP of the phone. This is an MIUI5 multi-touch phone. There is a good news for the Android lovers as the phone runs by the latest version of Android, Android 7.1.2 Nougat. On this platform, all the functions can work flawlessly with the QUALCOMM Snapdragon 636 chipset. CPU is OCTACORE 1.8 GHz Cortex-A53 and GPU Adreno 509. To store your favorite movie, song, thousands of pictures and other files, you will get the 64 GB internal memory with 4 GB ram and also for a low price version 32 GB internal memory with 3 GB ram. You will be able to use the micro SD card at the hybrid sim slot up to 256 GB. This will surely make your storing issues easier. Most of the modern people, love to have a smartphone with a high-quality With the phone, you will get the high-quality dual camera. The primary camera is 12 MP + 5 MP with phase detection autofocus function and also has the Dual-LED dual tone flash; the secondary camera is 8 MP and 1080p. With the camera, you will get a number of features like touch focus, GEO-TAGGING, Panorama, HDR pictures etc. To enjoy your favorite music, you will have the best sound system with the phone. Rear mounted fingerprint sensor may allow the users to unlock the phone without any secret password but it keeps the phone data safe. Nonremovable Li-Po 4000 MAH battery lasts long can as the brand assures, it can give you long hours of talk time. If you have any color preference it will be available in three colors, Black, Gray, and Gold.